At Hartog our team approach is fundamental to everything that we do. We believe that every member of the team plays a part in contributing to the high standards of care that our patients receive. We are very fortunate to have a group of exceptional individuals looking after our patients who bring with them a range of post-graduate qualifications and experience. Working closely together as a team means that we can draw on their diverse expertise and specialisms to bring you and your family the very best dental care possible. We are extremely proud that as a result of our approach we were nominated for the Best Team award at the Private Dentistry Awards in 2012. Through this team our aim is to have a holistic approach to your dental care providing an extensive range of specialist and cosmetic treatments on site in Alresford in addition to your routine dental requirements. At different times in your and your family’s lives you will benefit from access to very different and specialist areas of dental care. In teenage years it could be orthodontics and braces; in your adult life it could be implants to fill gaps, teeth whitening or even six month smile makeovers; and in more senior years it may be dentures or special brushing techniques for arthritis. Our team provides all of this and much more in our three practices in Alresford, Botley and Twyford. I think this is testament to our philosophy. Periodontics – The goals of periodontal treatment are to remove calculus from deep pockets around teeth, reduce the pockets, smooth root surfaces and arrange gum tissue into a shape that will be easier to keep clean. The many benefits of periodontal treatment include fresh breath, the ability to chew your food more easily, better general health, healthy gums that are free from infection and most importantly, helping you achieve your goal of keeping your natural teeth for a lifetime! Endodontics – The benefits of endodontics, or root canal therapy, are numerous. Since endodontic care eliminates the need for extraction, patients are able to keep their natural teeth and can avoid having to get a dental implant or dental bridge. Root canal therapy also protects the teeth, gums and jawbone from damage by completely eliminating infection. The final restoration, which often includes a dental crown, is natural-looking and comfortable. Dr Peter Raftery has the rare accolade of being a specialist endodontist and is a master in this field. Orthodontics – An attractive smile and improved self-image is just one of the benefits of an orthodontic treatment. Alleviating and preventing physical health problems is just as important. Without treatment, orthodontic problems can lead to tooth decay, gum disease, bone destruction, chewing and digestive difficulties, speech impairments, tooth loss and other dental injuries. Although Orthodontic treatment is generally thought to be for children it can be successful at any age, and adults especially appreciate the benefits of a beautiful smile. Braces can be nearly invisible these days and revolutionary changes can be carried out within as little time as 6 months. 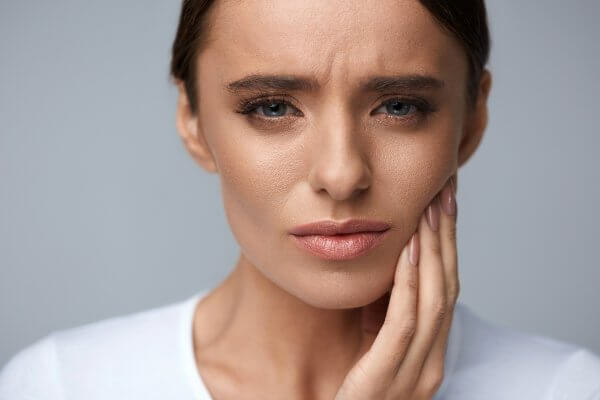 Oral Surgery – Oral surgeons specialise in wisdom and other complicated tooth removal, dental implant placement and surgical extractions for orthodontics. Many dentists are able to perform straightforward tooth removal without difficulty. However, occasions may arise when the removal of an impacted or broken tooth is difficult or complicated. It is in the patient’s best interest to have these procedures performed by an oral and maxillofacial surgeon with proper training, as this ensures the best outcome for you and leaves you with many options of subsequent tooth replacement. Drs Rachel Evans and Sami Stagnell are our in house oral surgeons and work closely with our Principal dentist Dr Rebecca Hartog placing implants and giving people the most natural looking and feeling tooth replacement. Oral Hygiene – Dental hygienists play an important part in dental health care and are mainly concerned with gum health – showing people correct home care and helping to keep the teeth and gums healthy. The hygienist’s main work is to professionally clean the patient’s teeth. However, perhaps their most important role is showing people the best way to keep their teeth free of plaque. Plaque is a sticky coating that forms constantly on your teeth. They also give advice on diet and preventing dental decay. The hygienist will work with your dentist to give you care that is tailored to your needs. Restorative Dentistry – Restorative dentistry plays an important role in improving your dental health and appearance. This is achieved by replacing missing, broken or damaged teeth as well as fixing decayed gum, teeth and cavities. To provide you with a comprehensive oral makeover, restorative dentistry is often paired with cosmetic dentistry. In addition to improving your smile, the benefits of restorative dentistry include more comfortable chewing, eating and smiling, avoiding misaligned teeth, reducing the risks of oral cancer and other oral diseases and improving your self-confidence. Any of our dentists would be delighted to talk to you about how you can achieve the smile of your dreams in the easiest possible ways. 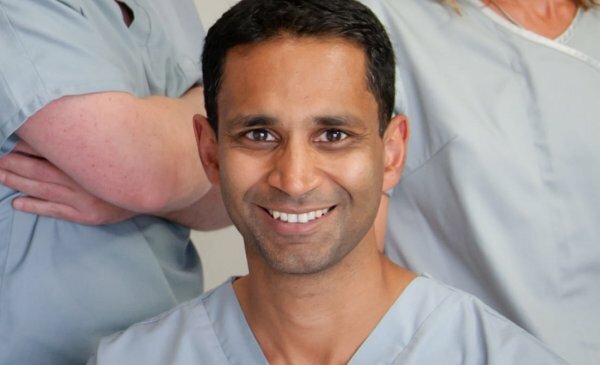 Mehdi has worked in a number of prestigious private practices in Hampshire and London.